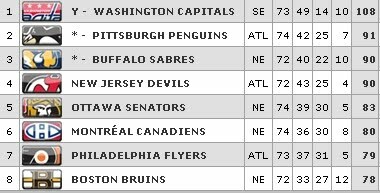 with two shootout losses and an out and out loss, they still managed to squeeze into 6th place. With only 8 games left, I'm still hopeful for a 5th place finish...go Habs ! !